Neil used my Harmonica and holder for this surprise performance at Elliot Hall that night. I was backstage when he walked out on that dark stage. It was amazing. No one knew what was going on, but as soon as he hit first chord of Helpless the xrowd went nutz! Seeing Joni live in concert for the first time was something I had waited for since I was 15. I never dreamed she would include the wallflower state of Indiana in her tour. 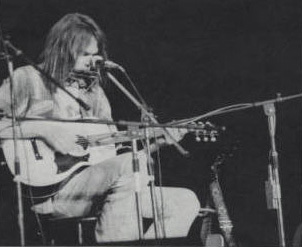 Neil Young's guest appearance made the perfect concert even better. John G.'s description was excellent- brought everything back! Now I am 54 and she is still my favorite. Thank you, Joni - your gifts make the world a better place! This is my favorite concert of all time. It took place at Elliott Hall Auditorium at Purdue University. The LA Express opened the show and then backed Joni during her set which was outstanding. As the show ended the stage went black and the crowd called for an encore. A dark figure walked to the stage from the right side. I knew from his walk that it was Neil Young. He sat down and started to play his guitar, still in darkness. As he began to sing Helpless the rest of the crowd realized it was Neil. They went crazy. Joni came and joined him midsong to sing along. 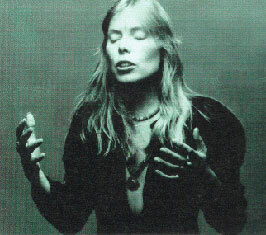 He then told of how he had called Joni to sing Sugar Mountain to her over the phone. They then sang that song together. 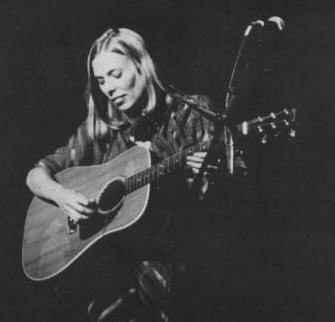 Joni then told us how she had written The Circle Game after hearing Neil sing Sugar Mountain. They then proceeded to sing The Circle Game together.I had goosebumps the entire time. 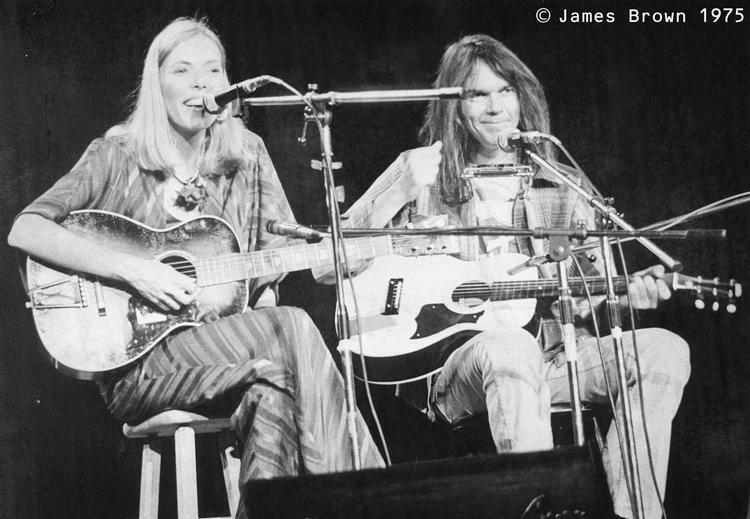 Joni and Neil were my favorite musicians and here they were together. What a surprise!